Sally J. Page, retired affirmative action officer, died Friday, Feb. 2, in Valley Eldercare Transitional Care Unit in Grand Forks. She was 74. Sally Jacquelyn Page was born in Saginaw, Mich., on July 8, 1943, to Doris E. (Knippel) and William (Bill) H. Page, Jr. Sally was baptized in a small neighborhood Presbyterian Church at age three and was an ordained elder in the denomination until her death. She graduated from Edwardsville, Ill. High School in 1961; was awarded a Bachelor of Arts in 1965 from State University of Iowa; studied at Washington University, St. Louis; awarded a Masters of Business Administration from Southern Illinois University at Edwardsville; and took advanced work at the University of North Dakota. A pioneer in the field of affirmative action, Sally began that work at Southern Illinois University at Edwardsville in the 1960s, shortly after passage of the Civil Rights Act of 1964 that initiated Affirmative Action. She was one of the first women to enter that field. She moved to the University of North Dakota in 1977 to lead the Affirmative Action and Compliance Office. She advocated for the University and mediated the relationships between UND and its staff, employees, and students. Always interpreting policy and negotiating the needs of individuals within the requirements of law and policy, she remained fair in her dealings with individuals and her role to protect the institution. She mentored AAEEO staff across the public university spectrum. In the community she was active with a lifelong interest and membership in the Girl Scouts of America and served as President of the local GSA Council. 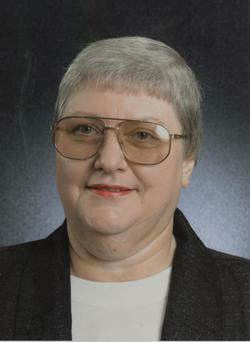 During the 1990s, Sally was an active member of Grand Forks Homes, Inc. She presided over its board for several years and was a critical voice in the creation of the 110 Cherry Street facility, especially advocating for spaces for learning and community activities. She and the board were already planning for affordable housing when the Flood of 1997 devastated the community. They were ready to “go into the ground” when the flood subsided. In the last 14 years, Sally has been a strong voice and supporter for Valley Memorial Homes with a particular passion for the continuing ministry to those residents. She also served on the Valley Memorial Homes Foundation Board. Sally is survived by her sister, Suann (Dave) Nichols; niece P. Lynn Nichols Freeman, great-nephew Robert, great-nieces Ashley and Renee; nephew Rob G. Nichols (Sarah Short); nephew Ted D. (Julie) Nichols, great-nieces Kimmy and Jenny, great-nephew Peter. A prayer service will be held at 7 p.m. Thursday, Feb. 8, in Amundson Funeral Home with visitation from 5-7. A memorial service at Wesley United Methodist Church, 1600 4th Avenue N., will begin at 11 a.m. on Friday, February 9, with lunch following. Inurnment will take place later at Roselawn Memorial Gardens, Saginaw, MI. Memorials may be designated to Valley Memorial Homes Foundation for the Sally J. Page Endowment.